THURSDAY, May 17, 2018 (HealthDay News) -- A new MRI scanning technique can help doctors better nail down when a person has suffered a stroke and whether clot-busting drugs will help preserve their brain. This technique could save the brains of some people who suffer "wake-up" strokes, where symptoms become apparent after they wake from a night's sleep, said lead researcher Dr. Gotz Thomalla, a neurologist with the University Medical Center in Hamburg, Germany. "Patients treated with this new approach have a 60 percent higher likelihood of having a better functional outcome 90 days after stroke with no or only minimal neurological symptoms without disability," Thomalla said. A significant number of stroke patients have no idea when their stroke started. For example, about 20 percent of all stroke patients recognize symptoms after waking up in the morning, Thomalla said. These patients typically are not given blood-thinners to dissolve the clot causing the stroke, Thomalla said. That's because the drugs are recommended for use within 4-1/2 hours of the onset of symptoms, and there's been no way to tell when symptoms began. But Thomalla and his colleagues suspected that at least some patients could still benefit from blood-thinners, if scans showed their stroke was still unfolding. 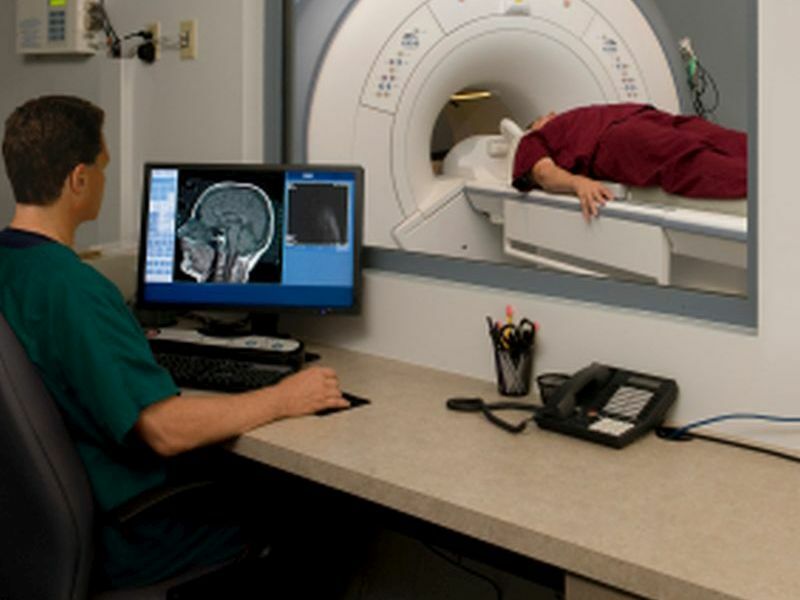 To test this, researchers used two types of MRI scans to check the status of 503 stroke victims. The first type of scan, called diffusion-weighted imaging, shows early changes in the brain after a stroke begins, Thomalla said. The second type of scan, FLAIR (fluid-attenuated inversion recovery), reveals damage after several hours of untreated stroke. The difference between the two scans can give doctors a good idea whether blood-thinners would be of any use to preserve the stroke victim's brain function, Thomalla said. "If this difference is apparent," he noted, "then a patient is likely to still be within 4.5 hours of symptom onset and thus likely to benefit from thrombolysis" -- treatment to dissolve dangerous clots. Thomalla added that it is an easy approach for hospitals to adopt, since both types of scans are widely available and do not require a lot of processing. "Actually, the treatment approach that has now proven effective in our trial has already been adopted by an increasing number of stroke centers in Europe," he said. This scanning technique could help identify a significant minority of patients who are not being treated with blood-thinners but who would benefit from them, said Dr. Joseph Broderick, director of the University of Cincinnati's Gardner Neuroscience Institute. Broderick noted that out of 1,362 patients who were screened with the two MRI scans, 503 were deemed good candidates for blood-thinners. In this clinical trial, half of those 503 candidates received blood-thinners and the others an inactive placebo, to see whether clot-busting drugs would make any difference. The treated patients wound up with significantly improved brain function compared to the placebo group. "This is a third of the patients where we didn't know the stroke time of onset," Broderick said. "It's a group we weren't able to treat before, without any data backing it up. It's not a big population of patients, but for those patients, treatment will make a difference." This technique is part of an overall trend toward looking at the actual changes in the brain to determine appropriate stroke treatment options, said Dr. Tudor Jovin, director of the Stroke Institute at the University of Pittsburgh Medical Center. "Even when we have a known time of onset, that's many times imprecise," Jovin said. "By convention, we consider the time of onset to be the last time the patient seemed normal. That doesn't mean it's when the stroke occurred, however." Between the time when the patient would seem normal and when a deficit is noticed, a significant amount of time elapses, he pointed out. "The stroke onset can be actually any time between these two time points," Jovin said. "That's why the trend more and more is to treat patients based on physiological data, not on time, because time is so imprecise and arbitrary." If hospitals adopt this new technique, people suspected of stroke could be subjected to more scans in the short-term, Broderick said. Most suspected stroke victims already are given a quick CT scan to look for a clot, Broderick said. That quickly identifies most patients who would benefit from either clot-busting drugs or emergency surgery to remove the clot. "We can solve most of the patients, knowing what to do with them, from the CT," Broderick said. Patients who pass the CT scan but have symptoms could be given follow-up MRI scans to determine whether blood-thinners would benefit them, Broderick said. "What this trial doesn't answer is if you can do this same thing with CT scans," Broderick said, noting that future research should fold these new assessment techniques into the current battery of stroke-related CT imaging. The trial results were published online May 16 in the New England Journal of Medicine.